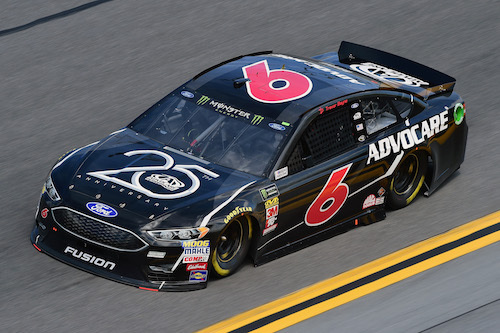 Roush Fenway Racing owner Jack Roush revealed on the Dialed In show on SiriusXM NASCAR Radio on Wednesday that Trevor Bayne would not be driver of the No. 6 RFR Ford in the Monster Energy NASCAR Cup Series beyond the 2018 season. Bayne, the 2011 Daytona 500 winner with Wood Brothers Racing has been with RFR’s No. 6 team since 2015, his first season of full-time competition in the series. He began 2018 as the full-time driver of the car, but in May, Roush rehired 2003 champion Matt Kenseth to share driving duties of the No. 6 in an effort to improve performance. Kenseth began his Cup Series career at Roush Fenway, but he was released in favor of Erik Jones by Joe Gibbs Racing at the end of the 2017 season. Roush is remaining mum on whether or not Kenseth will drive the car either full-time or part-time next season. Bayne has 124 Cup Series starts with RFR, resulting in four top-fives and 13 top-10 finishes. He has driven the No. 6 in 16 of the 26 races, so far, this season, with a best finish of 11th at Bristol (Tenn.) Motor Speedway last month.